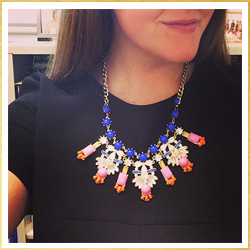 Make 2014 Sweet with Judith March & a Giveaway! In the South, when "Sweet Home Alabama" comes on in a bar, you can bet at least 3-5 people around you will start singing. Chances are those same 3-5 people aren't exactly from Alabama, but it unites us all in such a way that we feel as though we are from there...or if not from there, from what it means to be from the South: good manners, loving your mamma, drinking sweet tea, and munching on buttermilk biscuits. 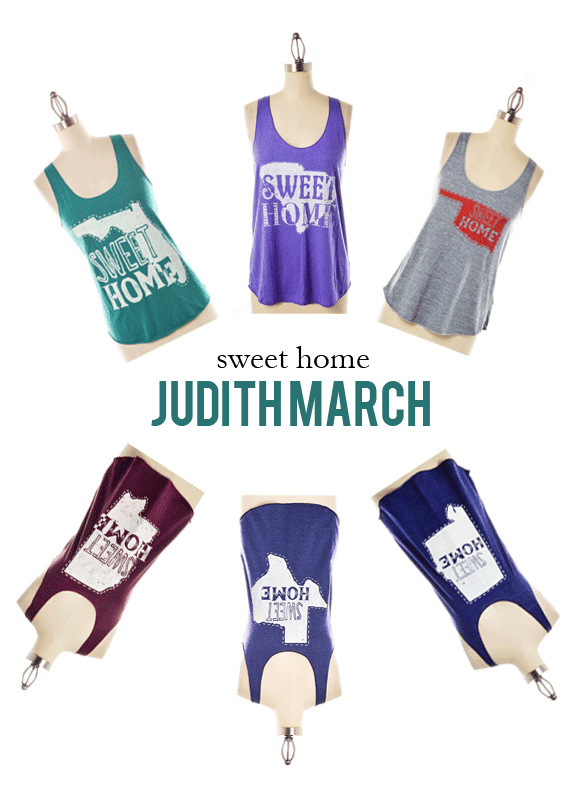 These foundations are the reasons that I absolutely adore the newest Judith March Sweet Home tanks. This week, you can win one for yourself! Not from a southern state, no problem - choose the one you secretly admire or a vacation destination you love...or hey, just pick the color you like the best. Enter below! I have to represent my home state. FLORIDA! I love the Florida shirt! the Sweet home Georgia tank, I'm an ATL girl! I'm in love with these tanks! Ohio is where the <3 is.